Cross Marine’s custom search and rescue boat, The Charity Eden, was designed to accommodate the most challenging inland marine conditions. 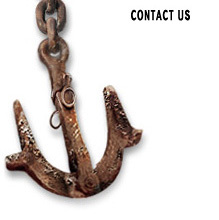 The shallow draft design cuts through rough water and can navigate through shallow water while providing a stable work platform that can support a commercial diving station and other marine salvage equipment. It is also equipped with advanced underwater imaging technology and can deploy ROVs. The Charity Eden very mobile and has been used in operations across the United States as well as off the coast of the Dominican Republic. 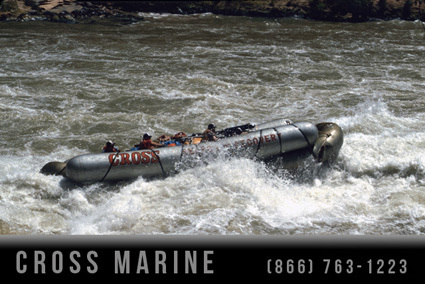 Cross Marine’s crews perform a river search and rescue operation amid rapids and other navigation obstacles. Cross located and recovered the wreckage of a downed helicopter that crashed into the river. 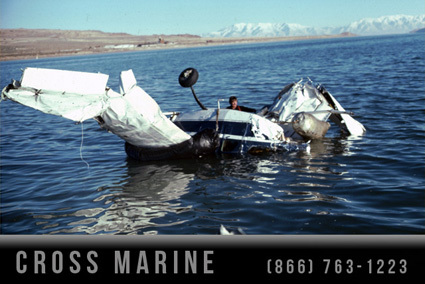 Commercial divers recovering an airplane from a lake. Crews located and salvaged the aircraft, allowing the FAA to investigate the cause of the crash. 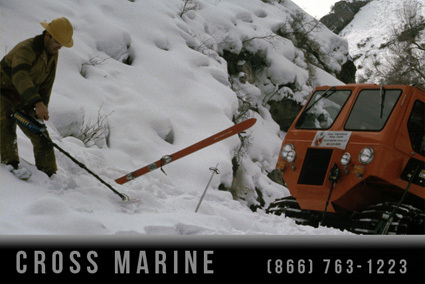 Cross conducts an avalanche search and rescue training course. 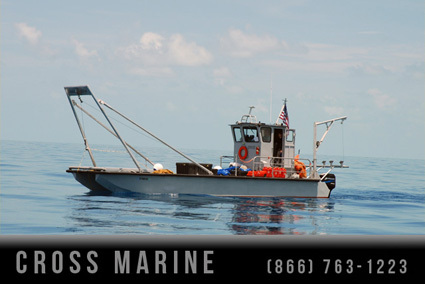 Cross offers a variety of underwater and land search and rescue training services utilizing advanced search and recovery technology and techniques. Cross has trained local and national law enforcement agencies and sheriff search and rescue teams from around the country. 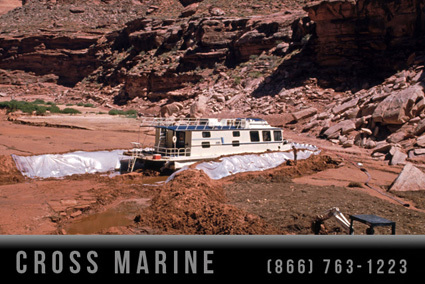 A successful grounded houseboat recovery preserved the boat in salvageable condition with minimal damage after becoming stuck in a flooded canyon. 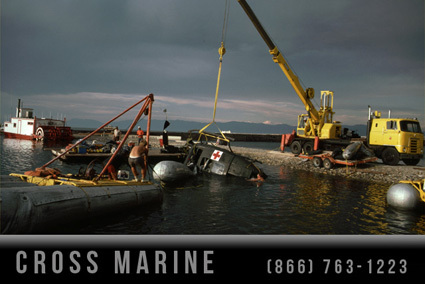 Military helicopter wreckage is recovered from lake by Cross Marine’s commercial diving recovery team. 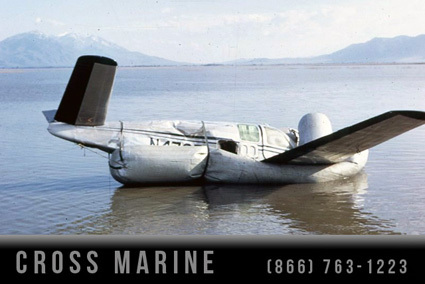 A crashed airplane was located and recovered from the Great Salt Lake, Utah, using advanced diving and exploration technologies. 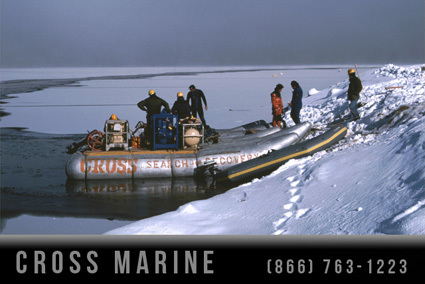 Commercial divers conduct underwater search and rescue and salvage operations in harsh Winter conditions. 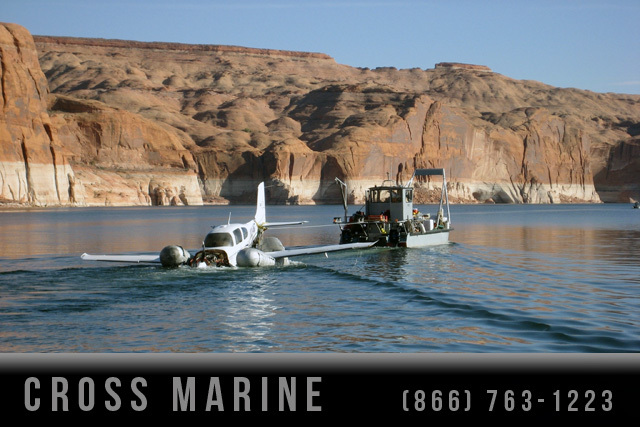 Commercial divers located and recover Rulon Gardner airplane wreckage following crash in Lake Powell, Utah. 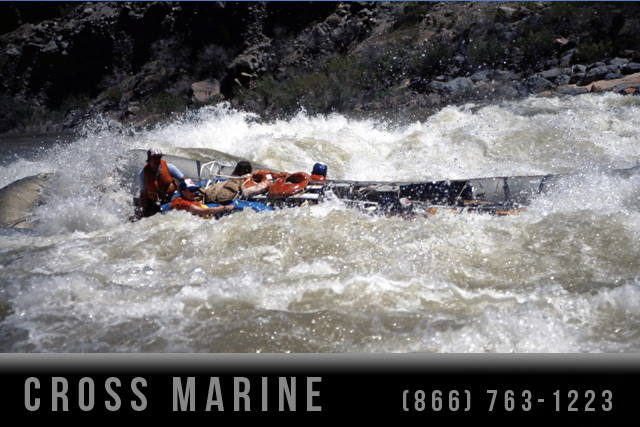 Navigating whitewater rapids of the Colorado River to locate and recover a helicopter that crashed in the river.